This necklace has two processes used on it to achieve its look. 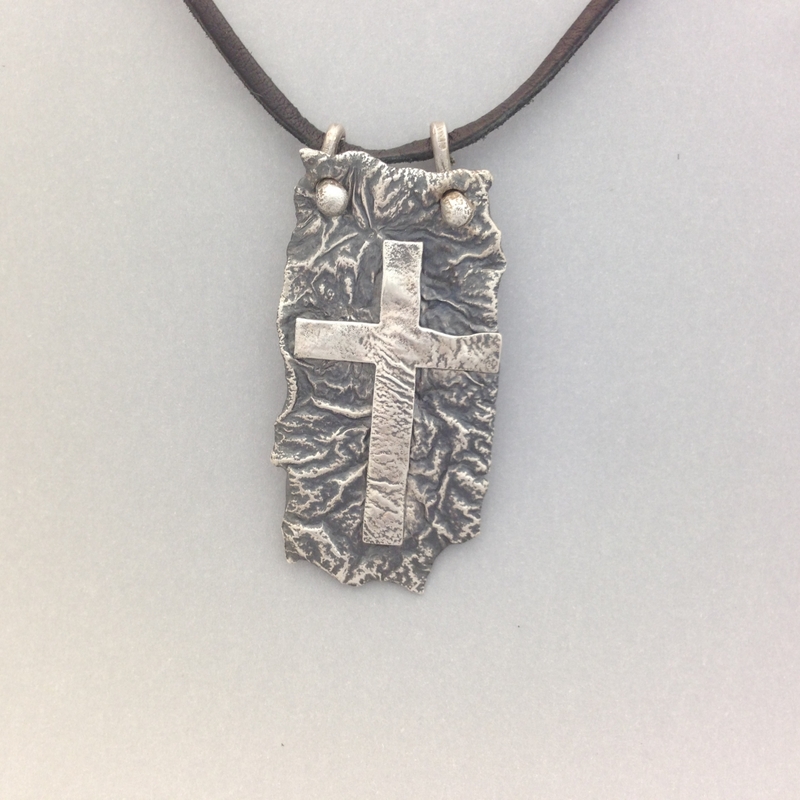 The silver cross is fused to a reticulated to a silver base to give us this one of a kind piece. It measures 2" x 1" and hangs from a 30" adjustable leather cord.